Do you have trouble seeing while driving in the dark? With winter approaching and the recent time change, we are all spending more time driving in the dark. Last night I took an after hours drive to Stevens Point. It was one of those nights where my headlights seemed to disappear into the darkness and visibility was tough. Of course, like most Wisconsinites, I was concerned about deer that might be crossing the road. I was having visibility issues due to the dampness in the air. BUT, if you are experiencing visibility issues due to cloudy headlights, we can help with that! Many people drive with cloudy looking head lamps that greatly reduce their visibility. The costly fix for this is getting new head lamps. But, the crew of On-Q Collision has tested several more cost effective options for fixing this problem and we have devised a great, permanent solution to clearing up those cloudy head lamps. 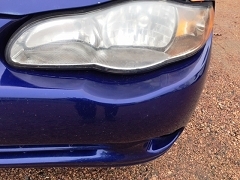 Recently we treated the head lamps on a 16 year old mini van that was suffering from severe clouding. The driver called us the next morning after driving in the dark to go to work to tell us that he could not believe the difference this made in his visibility. He never realized how bad his visibility was until it was fixed. 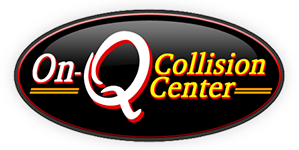 So, if you are having issues seeing the road now that there is more time spent driving in the dark, stop on out at On-Q Collision and let us take a look to see if a headlight treatment could benefit your vehicle. It could save you quite a bit of money by increasing your visibility and reducing your risk of hitting something else and causing much more expensive damage.